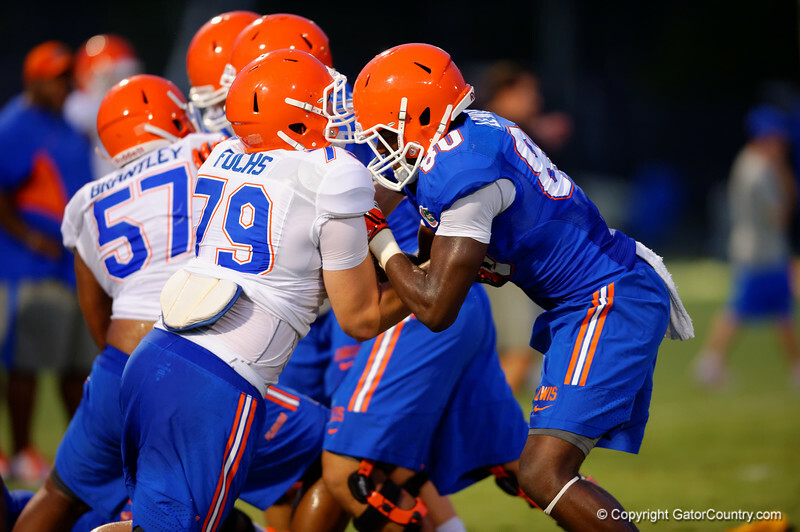 Florida Gator OL Matthew Fuchs and WR C'Yontai Lewis compete in a blocking drill during practice. August 7th, 2014. Gator Country photo by David Bowie.